The TOPS Vi Ax features a brutal Leo Espinoza design that was insprired by the legendary Viking axes of old. 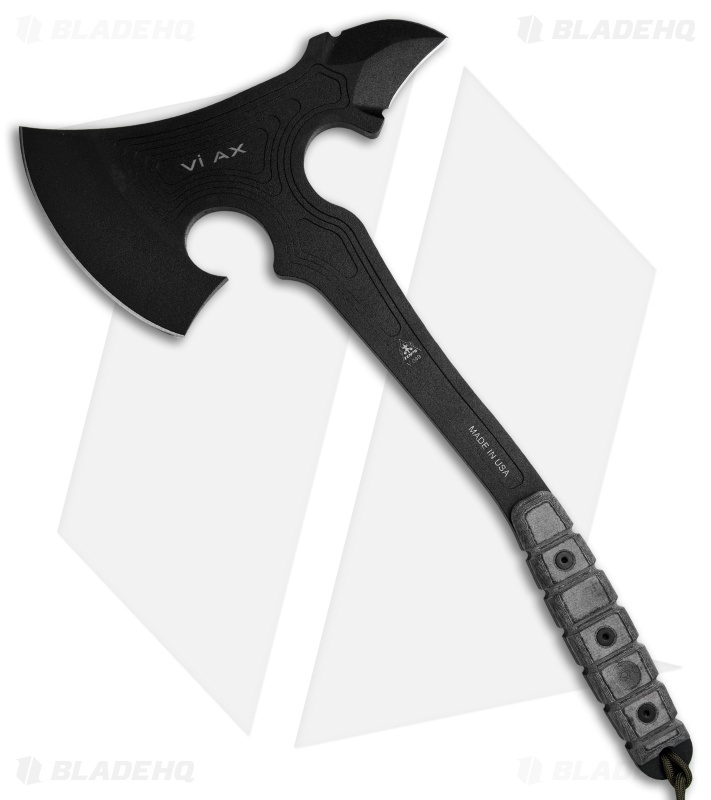 Made from a solid piece of 1075 steel, the Vi Ax is the largest Tops axe to date at 15.25" overall length. 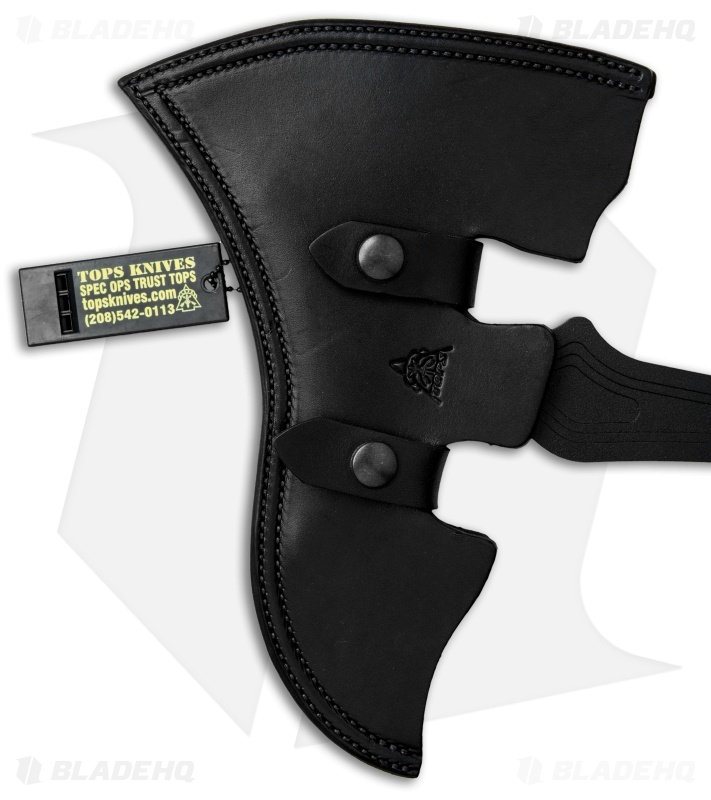 The 5.25" blade head has a durable black traction coating and a double-edged spike on back for striking applications. It is outfitted with a black linen micarta handle for a comfortable grip you can rely on. Item includes a black leather sheath with loops for attaching to a pack or MOLLE gear. Made from a solid slab of 1075 steel for a strong durable blade with a rated hardness of 56-58 RC. Black traction coating on blade prevents corrosion and wear. Double-edged spike on the back of ax head offers a tactical spike for striking applications.